The trouble with moving is... I miss my kitchen. I feel as though I have downgraded. 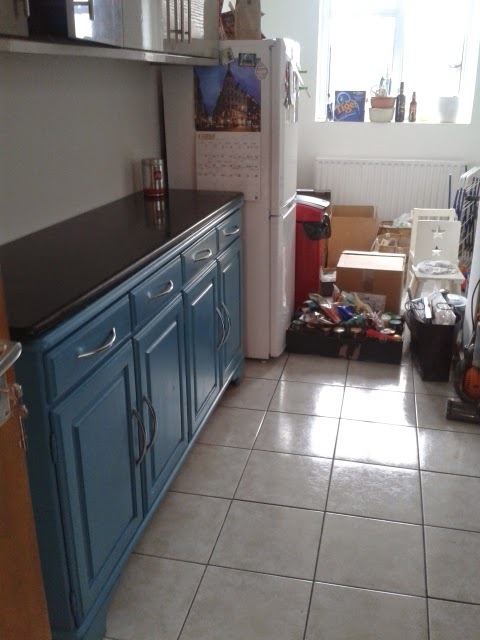 From my beautiful fully functional kitchen to a sort of studenty one. And soon, as soon as I can, I'll unpack those cake tins. Watch this space. We just bought this baby through eBay. A retro Ducal sideboard, with a granite work-top. Now to fill it with spices and baking tins... Better already! 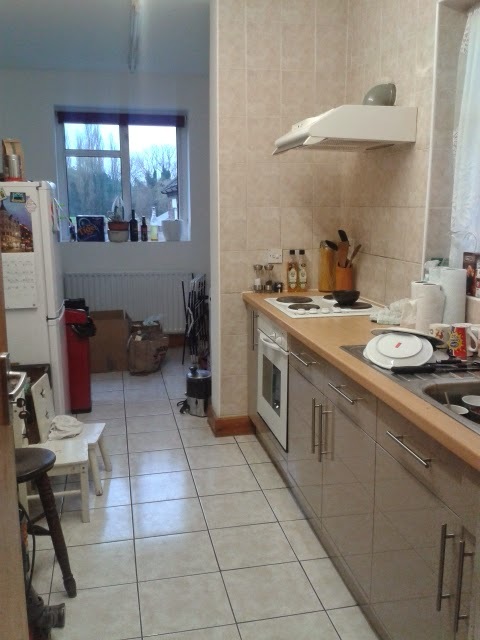 The new kitchen is lovely and streamlined and it looks like a fabulous place to spend a few happy hours baking.